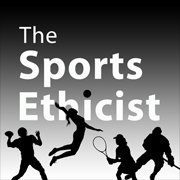 The Sports Ethics Show: Are Video Games Sport? In this episode of The Sports Ethics Show, Joey Gawrysiack (Shenandoah University) and I discuss whether video games can be sport. Can video games be considered Sport? A controversial question because it raises questions about the nature of sport and the nature of video games as well as the value of each. Dr. Joey Gawrysiak of Shenandoah University joins the show to discuss the ways in which we can understand video games as sport.